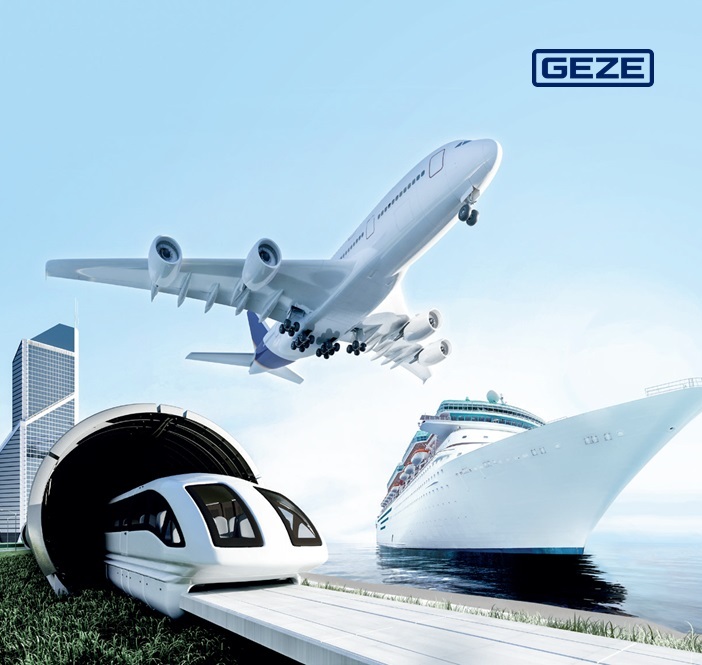 GEZE has for many decades been a reliable partner for customized, high quality transport technology solutions – from cruise ships and trains, to transporters and aeroplanes. What began with fittings for the ‘Graf Zeppelin’ airship and in German National Railway trains, today continues in state-of-the-art transport technology solutions. For parcel and transport services, the greatest possible efficiency and optimum security are critical factors. GEZE offers a range of intelligent products for utility vehicles, for example to facilitate access from the driver’s cabin to the cargo area. A common adage in the transport industry is: time is money. A parcel service driver being able to get to the inside of the vehicle quickly and easily from the driver’s cabin without the hassle of getting out can yield a valuable time saving. Different aircraft types pose varying challenges with respect to modern door technology. And yet, whether we’re talking about large passenger and cargo planes or private jets: the emphasis is always on safe and comfortable solutions that can be customized to the circumstances. At the beginning of the century, the skies were dominated by Graf Zeppelin and his airships. Even then, GEZE was building a suitable solution: special aluminium cabin sill track designs. GEZE’s customized door systems continue to offer greater comfort and safety in today’s modern aircraft. For example by separating the baggage hold: special solutions from the area of automatic sliding doors, for mostly small doorways, ensure baggage is locked away safely, without moving around. Access control solutions on connecting doors prevent unauthorized access to the cockpit.